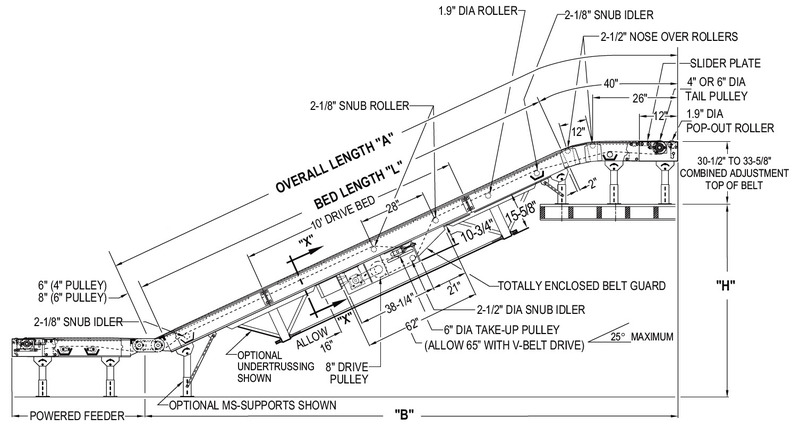 Our Model SBI floor-to-floor conveyors are great for moving product between floors. They are equipped with adjustable double nose-overs to ensure a smooth transition from the inclined plane to the horizontal plane at discharge. Inclines are easily adjustable up to 30°. These conveyors are occasionally used as boosters in gravity fed conveyor systems. Black Trackmate 120 Roughtop with PVC cover, clipper lacing. 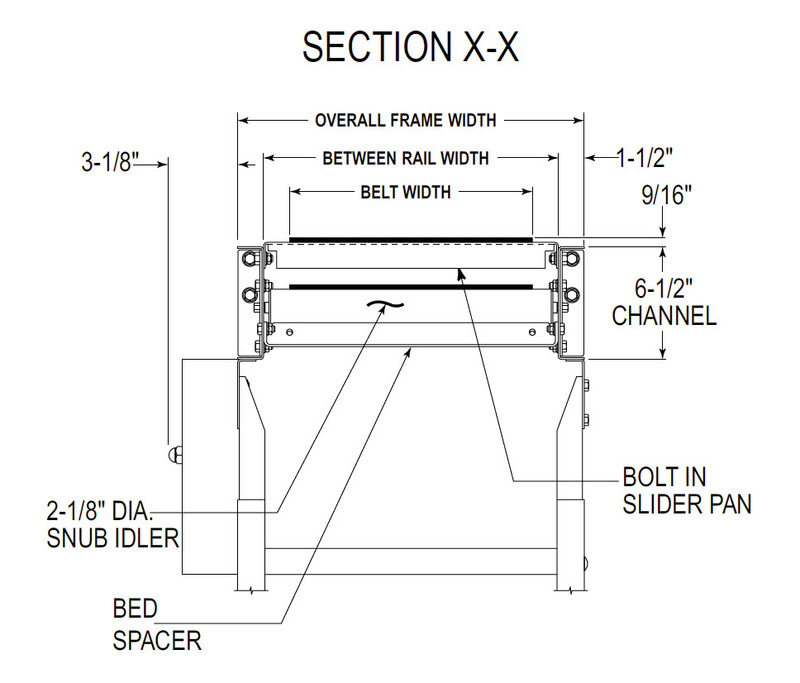 12 ga. galvanized slider pan mounted in 6-1/2″ x 12 ga. powder-painted formed-steel channel frame. Standard 4′, 6′, 8′, and 10′ sections bolt together with splice plates.